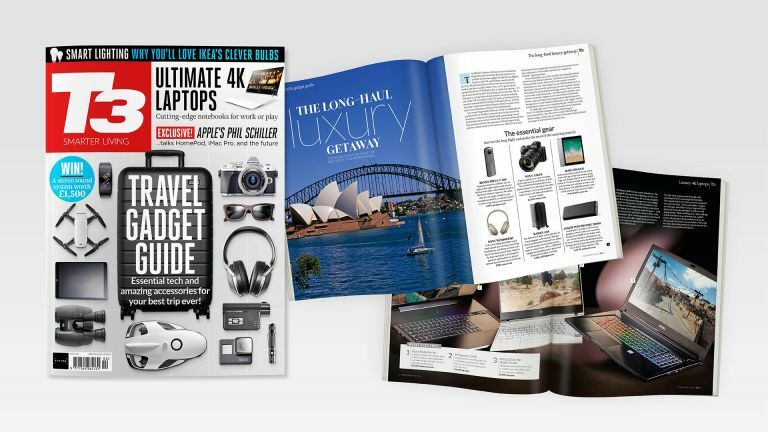 Holiday in style with the ultimate travel gadget guide – in the new issue of T3 magazine! Top travel tech and locations, plus the best 4K laptops, easy smart home guides, and more brand new gadgets! The brand new issue of T3 is out now, and we're looking forward to a year of amazing travel. Our main feature not only finds the best tech for getting even more from your trip – from ways to keep amused on a long car journey, to cameras and stabilised binoculars to make sure you don't miss a thing, to amazing gadgets including an underwater drone – but we've also picked out fantastic under-the-radar destinations, so you can hit serene beaches or pick up some enlightening culture without the crowds. Whatever kind of holiday you want to go on this year – from camping in the UK to long-haul luxury escapes – we've got everything you need. You can read a sample of the issue below, or read on for more details! To find out about T3 magazine subscriptions, check out our store! Also in this issue, we review three top-tier 4K laptops to find out which super-sharp screen is worth your money, and look at LG's latest luxury TV (it's very good). Plus, we've got Microsoft's MacBook-beating Surface Book 2, Ikea's new smart lights, a round-up of smart door and windows security sensors, and a whole new kind of tablet. On top of that, we got to drive an honest-to-goodness F1 car and lived to tell the tale, and we interviewed Phil Schiller, Apple's VP of marketing, to talk HomePod, iMac Pro and the future of tech. And there's loads more of course, including new watches, hot cars and a simple pro-level camera kit. Hasselblad just made a 400-megapixel camera, because why not?